Popcorn buds are a product of environmental stress on growing cannabis plants. By carefully pruning your plants as they flower, you can avoid this condition. Read on to learn about other techniques on how to avoid popcorn buds and maximise bud density and yield. Popcorn buds are buds that grow about the size of popcorn – not too difficult of a concept to grasp. Unfortunately, these tiny, fluffy flowers never develop into actual nuggets. Instead, they remain a frustratingly small size to most cultivators. Often, popcorn buds can be found on the lower-most branches of your cannabis plants. Obviously, these buds are a major issue of concern for growers who are hoping to max out their yields. These much smaller, less dense flowers are a product of less-than-ideal growing conditions. There are many things that can be done to avoid growing them. Apart from issues with quantity, these B-grade buds are less concentrated and do not have the sales appeal of their better grown counterparts. For obvious reasons, commercial grow operations avoid popcorn buds at all costs. With all that said, if there is an upside to popcorn buds, it’s that they induce the same effects as fully grown buds, just in smaller concentrations. For consumers, there is also another upside. Many bud growers and distributors will package and sell popcorn buds at a discount. If you want to try a new (and maybe more expensive) strain of weed, this is one of the best ways to sample without breaking your budget. Popcorn bud is perhaps most useful to purchase for edibles or to use in vapes. Even experienced growers can succumb to this condition. However, many learn to minimise popcorn buds as they discover exactly what seems to triggers its reaction. The number one reason plants develop popcorn buds is stress. In many cases, excessive heat acts as the most aggressive stressor, causing flowers to form wispy and loose buds. Indoor growers of course have much more control over the environment. Make sure your environmental controls are accurate and that you check them often. Changing the distance between grow lights and plants is an option for cultivators worried that they might be forming undesirable buds. Outdoors, there is no way to effectively control the temperature. However, you can alleviate its effects on plants. Erect a screen or shaded circle around your grow. This can make all the difference in keeping your plants safe from the heat and other threats. Additional instigators of popcorn buds are overcrowding and overshading. This can happen when the grow area – either indoors or out, is too packed with plants or overcome with leaves to grow properly. Well-spaced plants are more likely to produce healthy bud. This is also why pruning is important. Some plants have larger leaves than others. Trimming them back is the best way to avoid starving lower bud sites of light and encouraging popcorn buds to form. By far the best way to avoid popcorn buds is to take good care of your plants. On top of this, you need to shape your crop periodically. Lollipopping is a technique that refers to a style of pruning. It can be carried out by removing all the lower infant bud sites from the branches early in flowering. This usually occurs during second or third week. The top buds will then form into lush, dense nugs and the plants won’t waste their time and energy on producing popcorn. The other way to prevent popcorn buds is a method known as ScrOG. This stands for screen of green, which is a technique that is fairly easy to apply. ScrOG was specifically developed to maximise bud yield under indoor grow lights. Commercially made ScrOG nets can be easily found online. These are simply grow nets that can be stretched over the entire grow area. Plants are bent and weaved as they grow through gaps in the netting until a full canopy forms and all gaps are filled. If growing by induced lightning (or the 12-12 method), more bending and weaving will be required for the next couple of weeks. Combined with the lollypop method of pruning, all the plant energy is pushed to bud production above the screen. 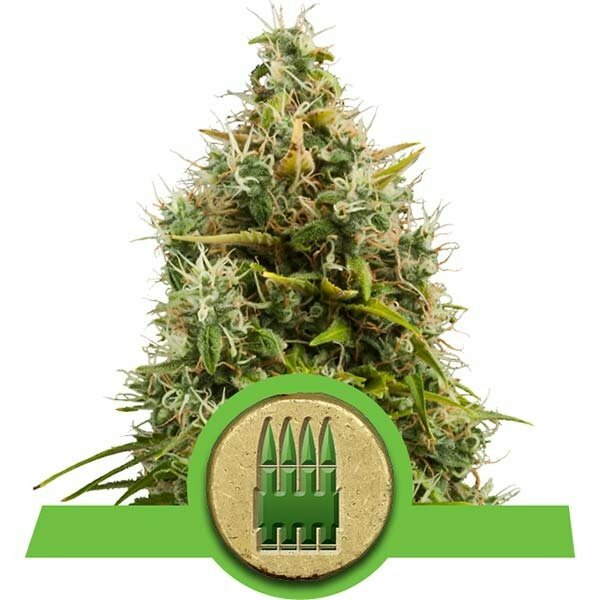 Using lollypopping and ScrOG together is one of the best ways of guaranteeing connoisseur style, A-grade bud. The easiest and cheapest way to implement the ScrOG technique is to build a net yourself. You will need a screen with about 5cm wide mesh. You will also need 8 pieces of wood. Four of these are for the frame you will construct, while the remaining four are to support the frame. You will also need brackets, screws, rivets and U-nails to set up the screen and its support system. WHAT ARE THE BEST STRAINS TO USE WITH SCROG? This classic Skunk sativa has a short flowering time of just 8 weeks. That said, this robust plant can be a beast outdoors, reaching heights of 3 metres! Special Queen 1 also performs well in both soil and hydro. Even better, this plant responds well to ScrOG techniques. The results? Satisfyingly heavy yields of up to 650 grams per square metre. Haze Berry is a much prized plant in California and other U.S. medical states. It is a cross between classic Blueberry and a sativa-dominant Haze. This strain really does deliver the goods, if not the best of both worlds. It has a deliciously sweet flavour and lovely long-lasting effects that are highly energising. This plant also grows like a typical sativa, which makes it a good candidate for ScrOG growing methods. Also check out our Royal Bluematic for a new classic riff on this strain. This exotic hybrid of Columbian, Mexican, Thai and Afghani origin is a very popular strain. Its heavy hitting effects and good yields are the main reasons for its celebrity status. This potent variety has been upgraded to a fully automatic strain. The sativa influence makes this plant grow tall and thus is well suited to ScrOG methods of preventing popcorn buds. In the right conditions, Royal AK Automatic can produce up to 160 grams of hefty bud in just 9 to 10 weeks after planting the seed.